The Cambodian Landmine Museum and Relief Facility is a museum located in Cambodia, south of the Banteay Srey Temple complex, 25 kilometers north of Siem Reap, and inside the Angkor National Park.Tourists began hearing stories about a young Khmer man, Aki Ra, who cleared landmines with a stick and had a house full of defused ordnance. Ra began charging a dollar to see his collection, using the money to help further his activities. 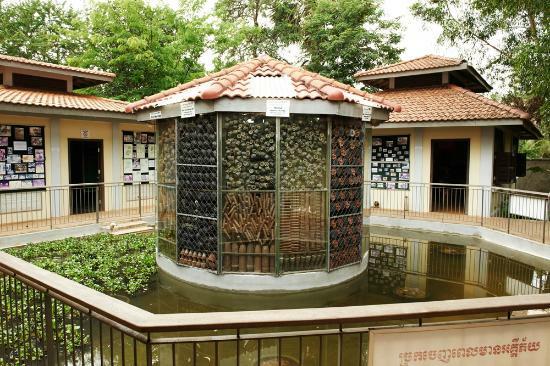 Thus began the Cambodia Landmine Museum. 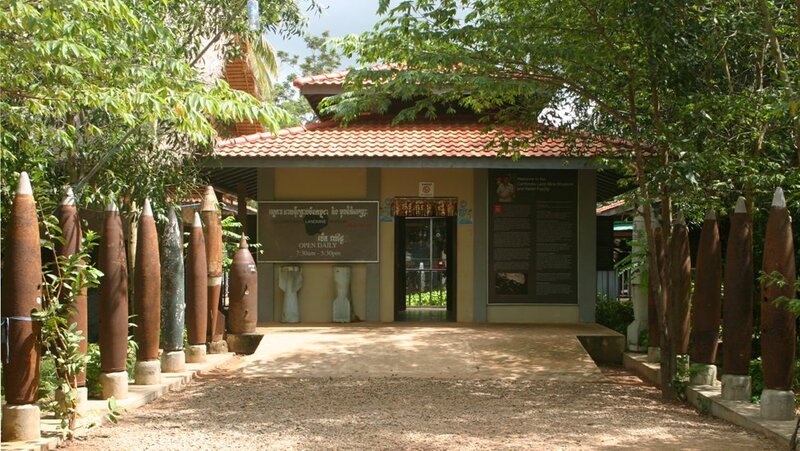 In 2007 the Cambodian government ordered Aki Ra’s museum closed. He was allowed to move it to a new location 40 kilometers from Siem Reap, near Banteay Srey Temple, inside the Angkor National Park. A Canadian NGO, the Cambodia Landmine Museum Relief Fund, founded by documentary film producer Richard Fitoussi, raised the money to buy the land and build the Museum. Most of the funding was provided by Tom Shadyac, a movie director from California. To tell the world about the horrors of landmines and explain that war is only half the problem. The aftermath of war continues long after the shooting stops. To care for the children who live at the museum.